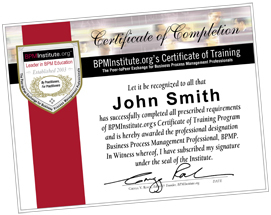 The BPMP Certificate is tangible evidence of having completed this industry’s most meaningful and credible BPM training program. 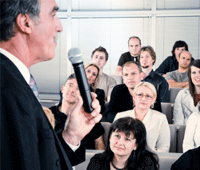 Completing the BPMP program of study is a strong differentiator. 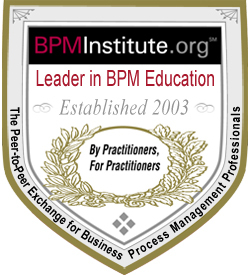 Established in 2003, BPMInstitute.org is a leading provider of BPM training. The Institute has been recognized by Forrester Research as a category leader in providing BPM training and certification. This program of study makes a strong statement that you are among the leaders in the industry—up to date with BPM concepts, techniques and technologies, and knowledgeable about best practices and state-of-the-art solutions and trends. The core and elective courses offered in the BPM Certificate program will equip you with the knowledge and skills you need to drive results through business process improvement and management. 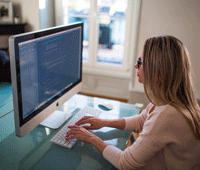 Complete your BPM Certificate 100% online. Choose from our most popular On Demand courses available 24/7/365 from your PC, phone or tablet. We offer BPM Certification for practitioners who want to go beyond a certificate program and earn recognition with our industry-acknowledged professional certification.